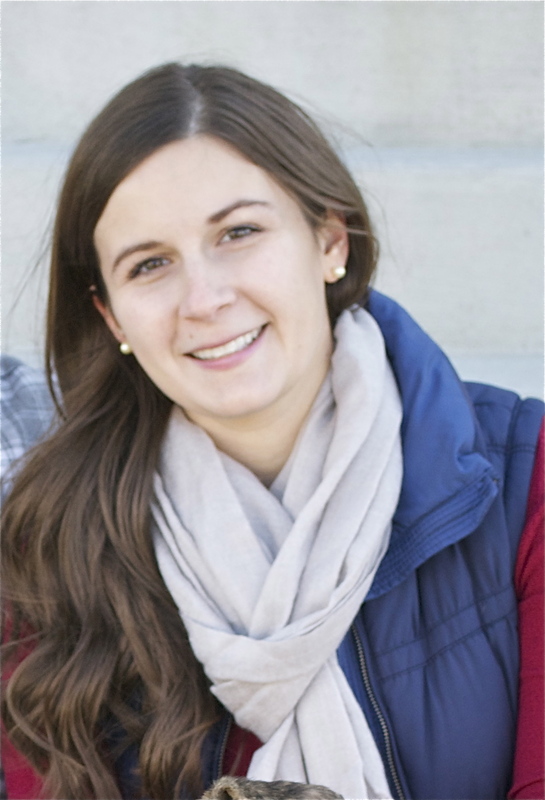 I guess its only fitting that my first recipe on the blog since having a baby be baby related. I guess it’s also fitting that I’m typing this with one hand while I nurse her (thanks to breaking my wrist in 6th grade when AIM became super popular, I’m very proficient at one handed typing! lol). As I prepare to go back to work in December :/ I am trying to get a frozen backup stash ready. I keep seeing links for companies that sell lactation cookies or lactation bars, etc. and I keep almost buying some but then thinking, “I could make that!” So, I finally did. 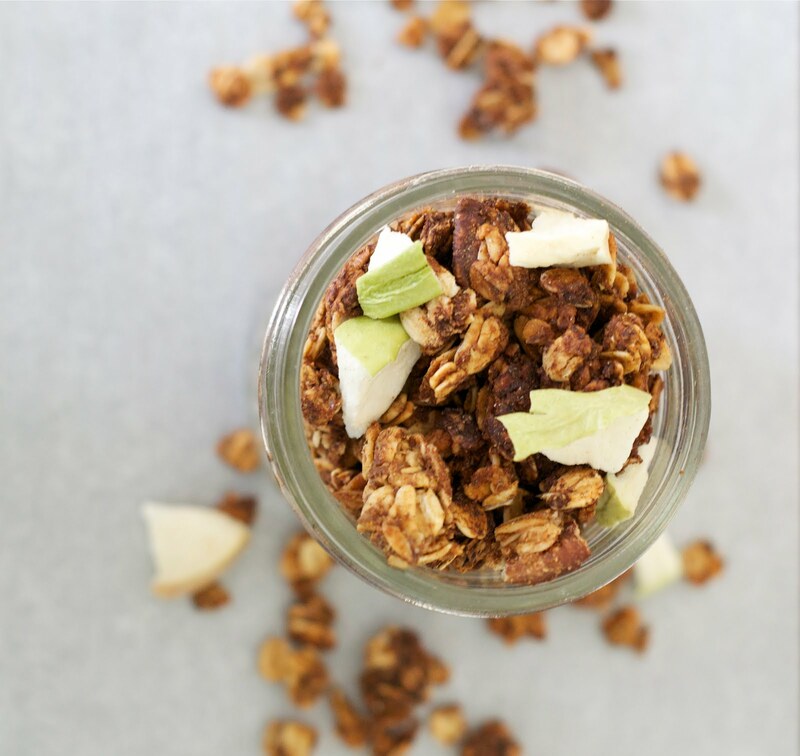 After doing a little research on the most helpful ingredients for milk supply, I modified an old blog recipe for Clean Eating Granola, added a little fall twist and voila! It’s delicious! Perfect just for snacking or to add to yogurt, etc. The other main milk supply boosting ingredients are the oats, coconut oil and flax. All of these ingredients have beneficial properties for anyone when consumed, but can be especially helpful to moms wish to increase their supply when it comes to breastfeeding or pumping. The brewer’s yeast has a pretty strong flavor, which is why I decided to add the brown sugar. If you wanted to keep the recipe totally clean, you could always sub the brown sugar for honey. 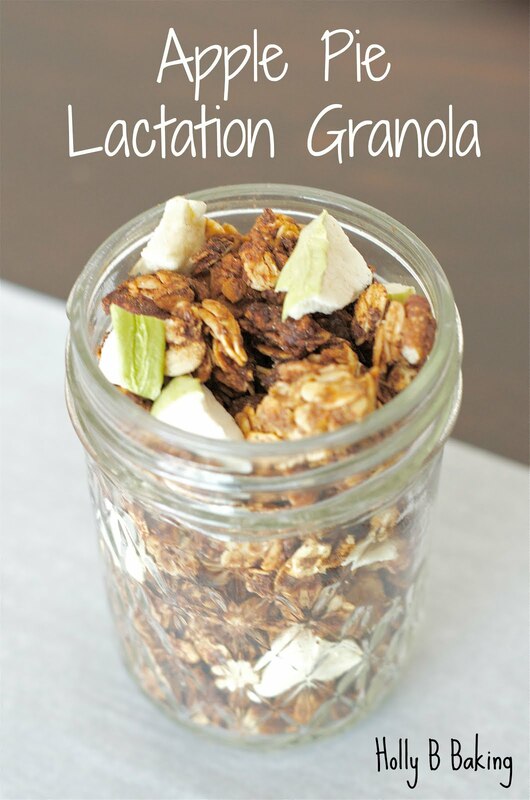 Hope you enjoy it as much as I did and share your favorite lactation boosting recipes with me! 2. 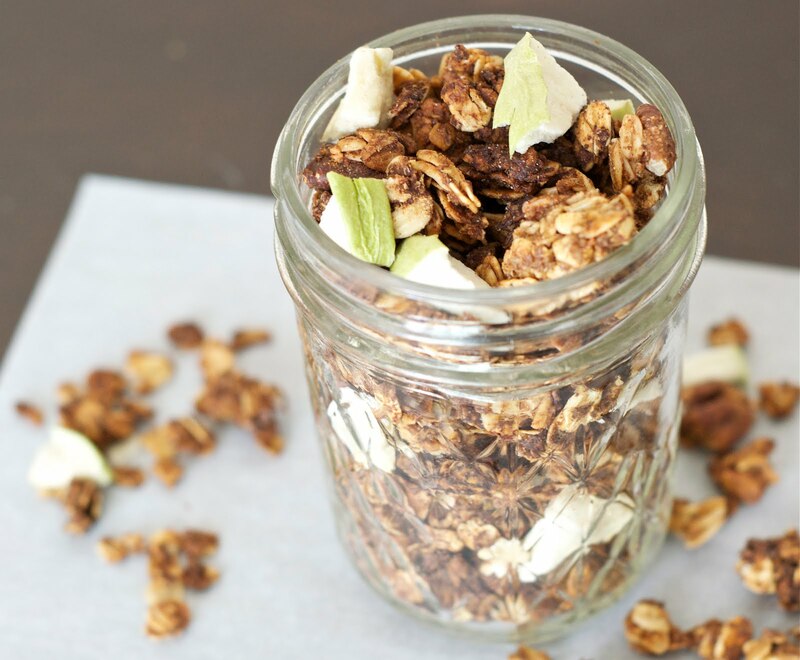 In a large bowl, combine oats, flax, brewer’s yeast, pecans and spices. Set aside. 3. In a small bowl, whisk together sugar, coconut oil, apple sauce, vanilla and maple syrup. 4. 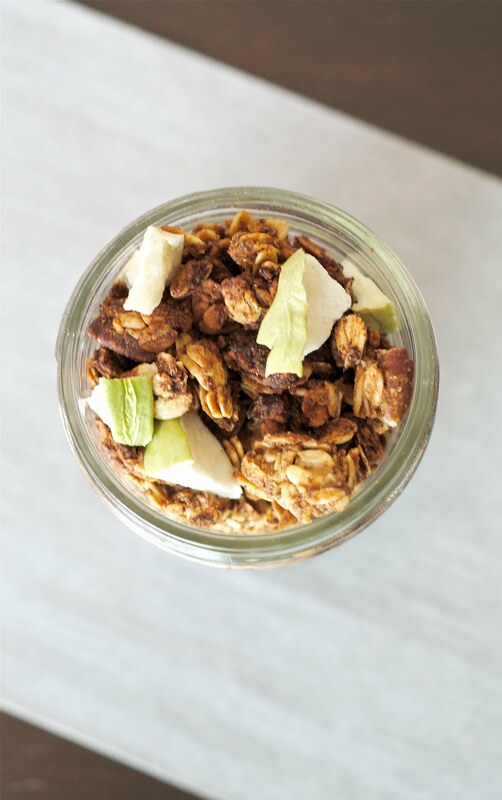 Pour wet ingredients over the dry ones and stir with a large wooden spoon or spatula until the oats are evenly coated. 5. Spread mixture evenly over baking sheet and bake for 45-60 minutes until browned, stirring every 15 minutes to avoid burning (this is important!!). 6. Let cool, then stir in apples. Previous Previous post: Hello Again, Old Friend.